In this post, our HVAC maintenance specialists at Bounds Heating and Air discuss what each energy efficiency rating means. SEER stands for the season’s energy efficiency ratio of an air conditioning unit. This shows the electrical input required to run the unit over one average cooling season in comparison to how much cooling it generates. As a general rule, higher SEER ratings translate to lower operating costs. EER can best be described as calculating the “highway miles” of the system and is tested based on higher operating temperatures compared with SEER, which is based on lower temperatures. This rating also takes into account the humidity removal and is a useful rating since it shows how an air conditioner performs under a maximum cooling load. In more technical aspects, it is useful information for air conditioning repairs and maintenance. The heating seasonal performance factor is like SEER, except it’s for heating efficiency, and measures that aspect over the course of one entire season. The ratio is heat generated to electricity consumed. Keep in mind that, ideally, you should have a balance of both in terms of efficiency. EER measures a snapshot of a moment in time, whereas SEER measures the unit’s usage over time. With this in mind, SEER represents a more important number to pay attention to. There’s more to energy efficiency than how much power a system will consume. External factors also play a role, such as sudden bouts of inclement weather, and this is when you would want to pay attention to EER. 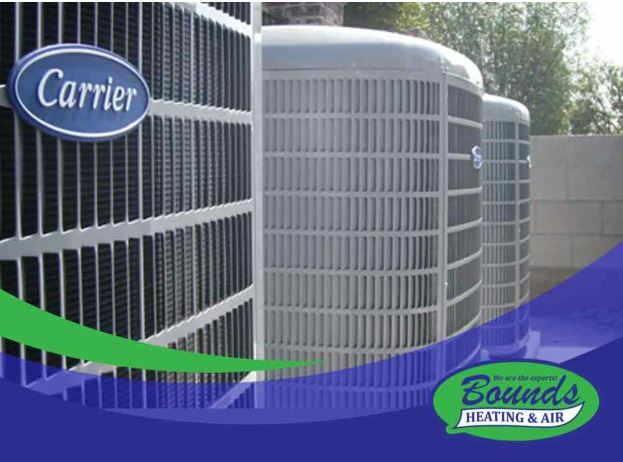 At Bounds Heating & Air, we will help you with your HVAC repair, installation, and maintenance needs. Call us today at (352) 472-2761 to learn more about our services. We are air conditioning repair experts serving homeowners throughout Lake City, FL and other parts of Florida.